Create a more responsible cachaca with Ypioca! Caipirinha is the most famous cocktail in Brazil and is also widely loved outside the country by cocktail aficionados. 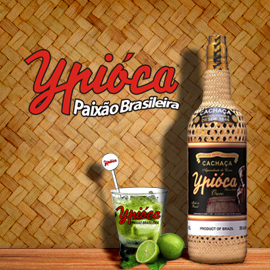 Caipirinha is made with cachaca and to make a really great caipirinha you need a good quality cachaca, like Ypioca. As well as a fully sustainable manufacturing process where everything produced is recycled or reused, Ypioca also has a very unique way of generating income for over 5000 Brazilian artisans. They use their talent to produce the “sleeves” of the traditional straw-wrapped Ypioca bottles. Ypioca wants to do good: how could they improve society by supporting a social cause? Find an idea for Ypioca to entice consumers to contribute to a socially responsible cause by buying this cachaca. Format: Presentations with pictures or illustrations and text, PDF format only.